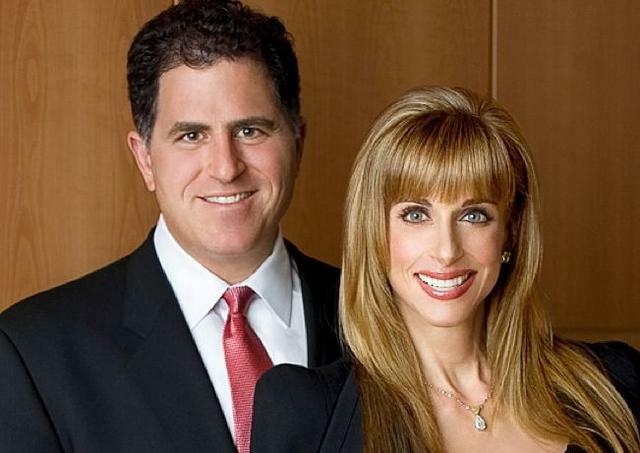 Michael Dell is one of the wealthiest men in the world with an estimated net worth of $23.5 billion. He is an American entrepreneur, investor, author and philanthropist who also happens to be the originator and CEO of Dell Technologies, one of the leading tech firms in the world. He has always been a natural businessman right from his childhood as he took on odd jobs just for the fun of earning money. He quickly advanced both in maturity, intelligence as well as in his financial standings to the point that he started his first company at age 20. 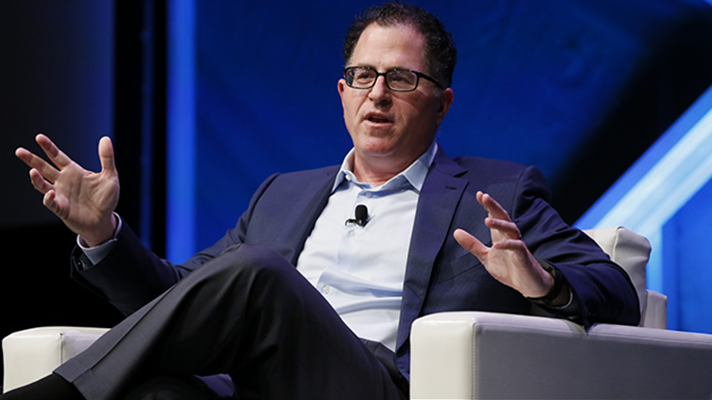 Michael Dell is one of those remarkable personalities potential entrepreneurs look to for wisdom. Read on to discover what makes him tick. Michael Saul Dell was born in Houston, Texas to a Jewish family on the 23rd of February, 1965. He was born to Alexander Dell, an Orthodontist who was his father and Lorraine Charlotte Langfan who was his mother, and also a stockbroker. In his childhood days, he was enrolled into Houston’s Herod Elementary School. As with his growing passion to enter into business as quickly and early as he could, he opted to write the equivalent of a high school exam when he was just eight years of age. When he became a teenager, he decided to invest in stocks and precious metals mainly with his earnings from working part-time jobs. His very first calculator was purchased from earnings when he was just seven years of age and his early exposure to teletype terminal was when he was in junior high. At the age of twelve, he got promoted from working as a dishwasher to Maitre d’. When he clocked 15, after learning a few things about computer systems at Radio Shack, Michael Dell purchased an Apple II computer just to dismantle it to see it really worked. For his high school education, Michael was enrolled into Memorial High School which is located in Houston. While in high school, he began the sales of subscription during the summer to the Houston Post. He made a discovery that dramatically saw the increase in his finances while making cold calls. He got to learn that subscriptions are mostly purchased by those who had the intention of establishing permanent social and geographical presence. That year, his earnings which were over $18,000 exceeded that of his economics and history teachers in school. On the rise of his finances, he convinced his parents to let him drop out of the University after he showed them the financial statements of his company on the 31st of July 1984. Upon dropping out of school, Dell followed his gut feeling that huge potential could amount from a manufacturer selling PCs directly to customers rather than through the presumed normal indirect sale via retail channels. A new company which he named “PC’s Limited,” was thus, registered in January 1984. By May of 1984, Dell’s company was incorporated as “Dell Computer Corporation.” The company’s business center was thus moved to North Austin after this incorporation. Dell Inc. reached a milestone in the company’s history in the first quarter of 2001 when its world market share reached 12.8 percent, overtaking that of Compaq, thereby gaining the title of world’s biggest PC maker. By the 4th of March 2004, Michael had to step down as CEO however, he functioned as the chairman of Dell Inc. on its board. Notwithstanding, he returned to his position as CEO on the 31st of 2007. Susan has basically been the backbone of the foundation as most projects the foundation embarks upon has been largely as a result of her ingenuity. Together as a couple, they have four wonderful children named, Zachary, Alexa, Juliette, and Kira Dell. Alexa Dell, one of Michael’s daughter recently faced threats to her and her family when she posted a seemingly harmless photo of her brother on a private jet to Fiji with a plate of food before him. The image which was posted on Instagram was done with her GPS location which meant tech savvy kidnappers could monitor her movements and possibly initiate a kidnap. Though her father spends a reported $2.7 million a year as of 2012 account, she and her brother had to go off social media when the incident occurred. Now she is back with an advice for young social media users that they should be cautious of what and how they make posts online as they have no idea who wants to harm them by so doing. For a man who holds the record for purchasing a Manhattan’s One57 penthouse for $100.5 million (the most expensive home ever sold in the city’s history), Michael, no doubt has a lot more up his sleeves. Having started earning money even before he reached age 10, rising up the ranks to hold the 38th position on Forbes richest list, one can most certainly expect him to be swooning in major wealth. Currently, Michael Dell has an estimated net worth of a mouth-watering amount of $23.5 billion. 1. Dell Dropped out of the Unversity in his first year in order to pursue his passion for business most especially in the area of tech. 2. Dell Inc. acquired the enterprise software and storage company “EMC Corporation” on the 7th of September 2016 for $67 billion. This is an acquisition that has been labelled the most expensive move in history related to valued tech. 3. Officially, Dell Inc. went private on the 29th of October 2013. 4. Fortune Magazine listed him as the youngest CEO of a company, a list which he falls among the top 500 corporations in America. This was in the year 1992 at just 27 years of age. 5. Michael received a 75% stake in the private company when Dell Inc. went private.